Home You n Entertainment Wishful Thinking: Kate Winslet And Leonardo DiCaprio?! Wishful Thinking: Kate Winslet And Leonardo DiCaprio?! 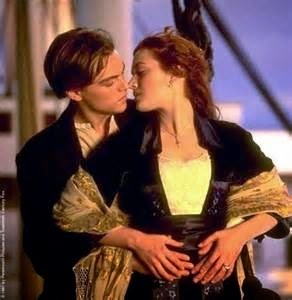 Back then watching Titanic, I know we all desperately wanted Kate Winslet and Leonardo DiCaprio to be an item...And because we are all insane and obsessed with these two, Kate is still explaining to the public why she and DiCaprio will never be. He always saw me as one of the boys. I’ve never really been a girly-girl… It’s so disappointing for people to hear that, because in the soap opera of the Kate and Leo story we fell in love at first sight and had a million snogs, but actually we never did. I think the reason that friendship works is because there was never any romantic thing,” she said. “We needed each other to lean on, because we were very young and working all kinds of crazy bloody hours and it was a shock to the system. Kate is really a woman of substance! Leo remains the boss! he's a stubborn bull that doesn't want to be tamed. Lol. Never Say Never.... anything can still happen.